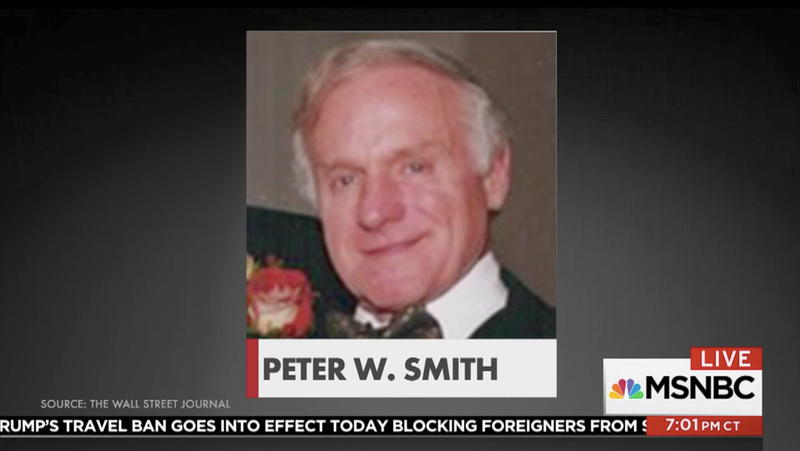 American GOP donor and party diehard Peter Smith—who’d gone on a personal mission to unearth Hillary Clinton’s stolen emails, claiming to have been in touch with Russian hacking groups—was pronounced to have died by suicide on May 14, about 10 days after an interview with the Wall Street Journal. Thursday was the first that Wall Street Journal reporter Shane Harris learned of the circumstances surrounding his death. When the Journal reported on Mr. Smith’s efforts last month, it wasn’t clear how he died. His obituary listed no cause of death, officials in the town where he lived didn’t release information, and messages left at Mr. Smith’s home went unanswered. Also on Thursday, the Chicago Tribune reported on public records documenting his death in a Minnesota hotel room. Smith, who’d spent his career directing private equity firms, was 81 years old, and amongst a “carefully prepared file of documents,” police found a suicide note explaining that he was ill and his life insurance policy of $5 million was set to run out. The death record shows that Smith was found with a bag over his head and a “source of helium” attached; a Walmart receipt for “Helium Jumbo” was found in the room. The Tribune reports that he’d written to the authorities that there was “NO FOUL PLAY WHATSOEVER” involving the death, and the police do not believe otherwise. Smith said that he’d been offered batches of emails but wasn’t confident enough of their authenticity to release them himself and told hacker groups to give them to WikiLeaks instead. While Smith had boasted ties to various members of the Trump campaign throughout his personal quest, those now-White House officials either declined to comment or claimed they had no idea what Smith was up to. This, we know.